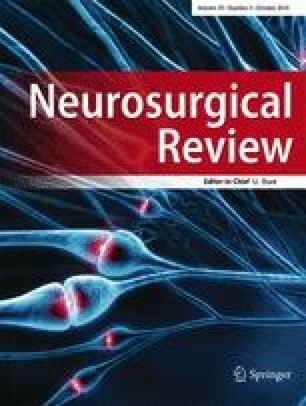 Arachnoid cysts: How do postsurgical cyst size and seizure outcome correlate? Arachnoid cysts (ACs) are congenital cystic brain malformations associated with epilepsy. The purpose of this study was to determine the effect of surgical intervention of ACs on cyst size and seizure outcome. We reviewed the world's medical literature dealing with surgically treated ACs in epilepsy patients. Our study included only cases, in which the relationship between pre- and post-operative CT-size of the AC and seizure outcome was described. We also included six patients with ACs and epilepsy treated surgically at the University of Mainz. We analyzed postoperative AC size and seizure outcome with respect to mode of operation, cyst location, and patients' age. A total of 76 patients was reviewed. Sixty (79 %) patients had a smaller AC postoperatively. Forty-six of those 60 (76.6 % ) experienced seizure improvement. Thirteen patients (21.6 %) remained unchanged and one patient (1.8 %) worsened. In 16 of the 76 patients (21 %) the postoperative AC size was unchanged. Eight of those 16 patients improved. Six patients (37.5 %) remained unchanged and two (12.5 %) worsened. A positive correlation between postoperative AC size and seizure outcome was well demonstrated among patients treated by cyst fenestration, needle aspiration, orinternal shunting. Among patients treated by cystoperitoneal shunting this direct correlation was less clear. Seizure outcome correlates directly with postoperative AC size. Seizure reduction is associated with decreased AC size postoperatively and depends on the mode of operation. Based on these data we would expect that patients with epilepsy secondary to ACs would demonstrate improved seizure control with lower AC volume. Conversely, we might expect increasing AC size to correlate with worse seizure control. This relationship may guide physicians in efficacy and timely patient management.